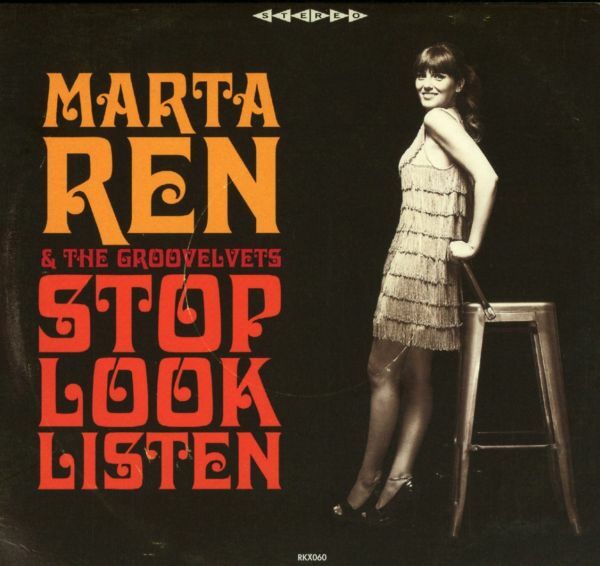 Anticipated from the first single "Im Not A Regular Woman", which is getting airwaves all over Europe (including BBC 6, Rai Radio 1, LeMouv / Radio France), produced and recorded on an Ampex eight-track tape machine by New Max from Portuguese funk combo Expensive Soul and mastered in NYC by Andy Vandette, "Stop Look Listen" is pure dynamite and follows the best tradition of the Soul Sisters of the 60s. 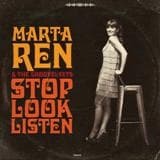 Marta Ren, not surprisingly described as the new Marva Whitney, brilliantly supported by her super tight 8-piece rhythm & soul combo The Groovelvets, serves you 11 tracks of pure fire and takes-no-prisoners. From the floorshakin opening track "Dont Look" to the mellow feel-good anthems "Smiling Faces", "So Long" and the afrotastic "Be Ma Fela", the Portuguese combo deliver a visceral deep funk album, proving that theyre the new real deal.